The Beachwood Reporter - The Largest Gathering Of Chicago's Nature Lovers! The Largest Gathering Of Chicago's Nature Lovers! With the myriad challenges facing the natural world, it's more important than ever to come together to share notes on tangible solutions to pressing issues large and small. The Wild Things Conference is the largest gathering of Chicagoland's nature lovers - both professional and amateur - who gather to celebrate and defend our priceless natural spaces. 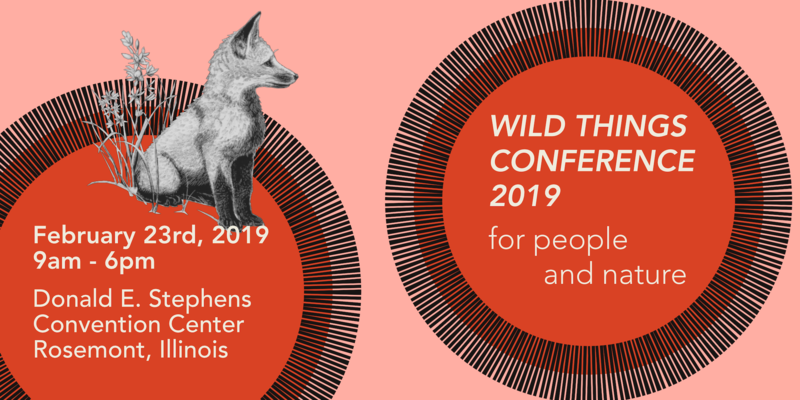 From bobcats returning to Illinois to social science methods for community conservation, the 2019 Wild Things Conference will be the biggest one yet, with more than a hundred different presentations and exhibitions. Happening on Saturday, February 23rd at the Stephens Convention Center in Rosemont, this celebration of people and nature will continue the biennial tradition of ecological knowledge-sharing that started in the mid-1970s. Choose among talks, performances, poster sessions, and all manner of discovering and participating. Whether you're a dedicated expert or first dipping a toe or two in the wetland, by looking through the list of presentations you can map out your own unique journey. There are 12 different tracks, or categories for sessions representing familiar institutions like the Field Museum, The Morton Arboretum, the Shedd Aquarium, and more. Yes, birds get their own track. Have you met birders? Someday, perhaps a track for toads. Mix and match your favorite passion with something totally new. Notes in each program description tell you whether it will be geared toward a general or a more experienced audience. All sessions are open to all, space permitting. There are many ways to appreciate, protect, and proliferate our natural world - and Wild Things hopes to help you deepen your relationship with whatever way you want to navigate it. Come join the community of scientists, advocates, eco-warriors, regional experts, wildlife monitors, volunteer stewards, green organizers, the poly/curious, and all the other Windy City Loraxes and register for Wild Things.